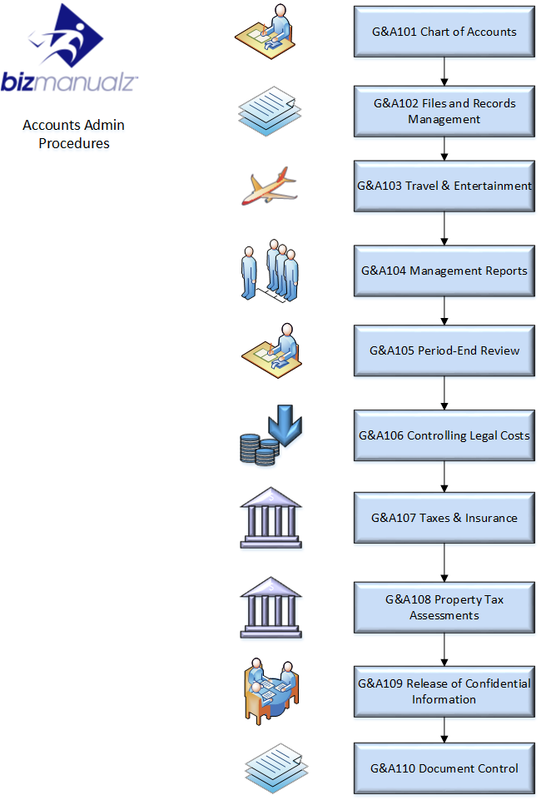 What’s Included with Your Accounting Policies and Procedures Manual? First, a 50 page Accounting Policy Manual Template is used as a top level document to all accounting principles (GAAP or IFRS) and bookkeeping policies governing your company’s accounting procedures. 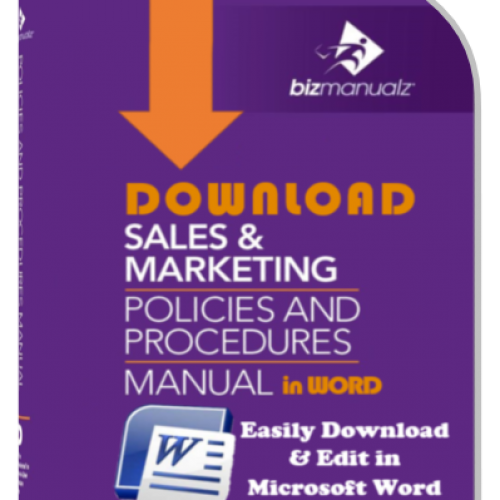 Next, 347 pages that include 39 prewritten accounting procedures, 56 account forms and corresponding bookkeeping activities–customize each Microsoft® Word document template to your needs. 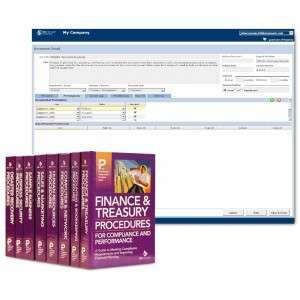 The Accounting Manual also includes 111 pages with 32 Accounting Job Descriptions covering the primary Accounting Department. 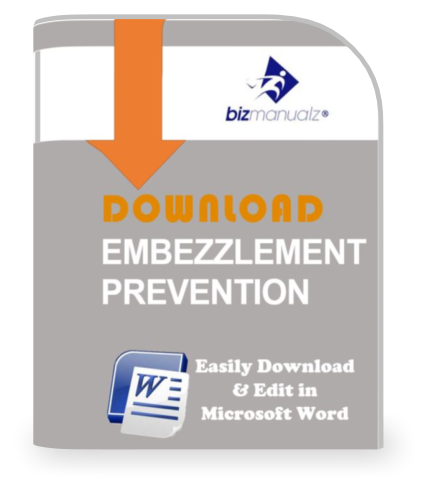 Free Bonus – Your Accounting Manual also includes this 75 page internal control guide to preventing embezzlement. Learn how to use a “Loss Prevention Audit” risk assessment to locate your company’s windows of opportunity. A 35 page accounting training guide explains the basic concepts of accounting and bookkeeping, its structure, standards and definitions. A 41 page Procedure writing guide provides guidance on turning a policy manual template into your company’s Accounting Policies and Procedures manual. Easily find what you are looking for inside the Accounting Policy Manual using the 24 page accounting and bookkeeping Keyword Index. Are you tasked with writing or updating your company’s Accounting Policies and Procedures Manual? Writing an accounting policy manual is easy with accounting standard operating procedure (SOP) templates from Bizmanualz. Whether you want to standardize your accounting & bookkeeping processes by incorporating best practices, or build an accounts payable procedures manual with strong internal controls to prevent embezzlement, waste, fraud, and abuse, you have come to the right place to account for your accounting practices and procedures manual. 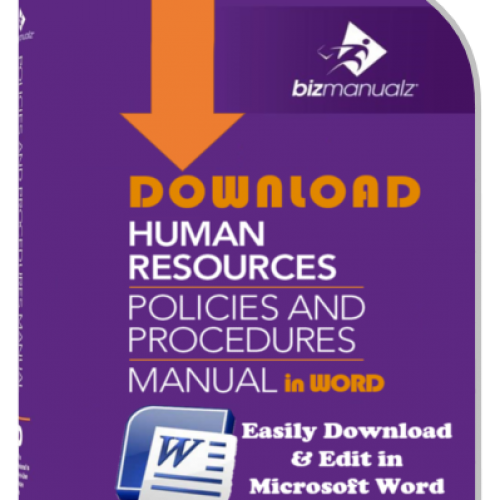 Now you can buy a company accounting policies and procedures manual download instantly from our website. 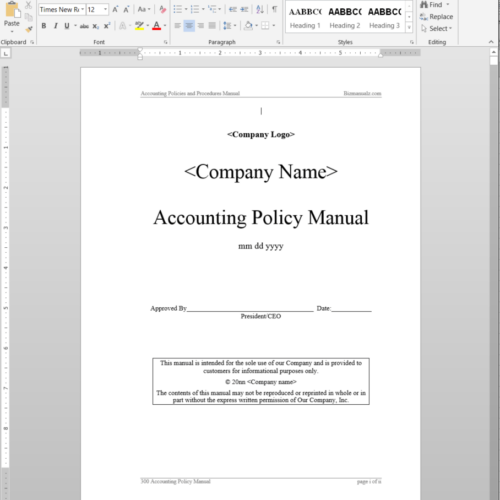 This download only product contains accounting policy examples in easily editable Microsoft Word Templates to make accounting policy template creation a quick, simple process. That’s right, customizing the content is really that easy (they are MS Office Word document template examples). And, best of all, you don’t have to start from scratch. 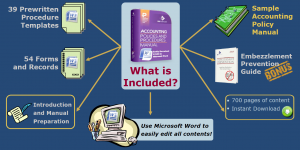 Altogether the accounting procedure manual is comprised of over 720 Microsoft Word pages of example accounting policies written by knowledgeable CPA’s, bookkeepers, and technical writers, and reviewed by experts in the field. Looking for more? We also offer policies and procedures manual for accounting and financial control. Save 35% by purchasing all 5 included manuals. You will save hundreds of hours in development and have a set of comprehensive accounting best practice procedure templates. You will save the aggravation of researching best accounting procedures. And best of all, your accounting procedure manual writing project will get done a lot quicker, so you can move on to other more pressing matters. Get started right away! 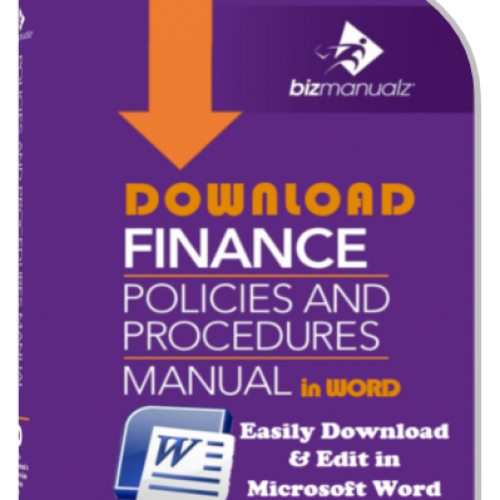 Download this accounting policy manual template set of easy to edit Word templates to simplify your accounting policy procedure process. How long do you need to keep different types of accounting records? What financial reporting does your company need? What should be your accounts receivable policy, accounts payable policy, your collections policy, or maybe a returned goods policy? What is the accounts policy & procedure for disposal of an asset? 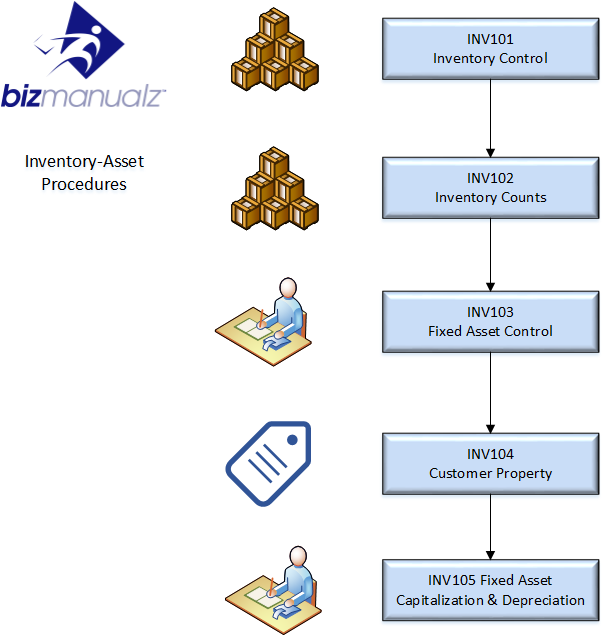 How should you count inventory and should you use cycle counting? 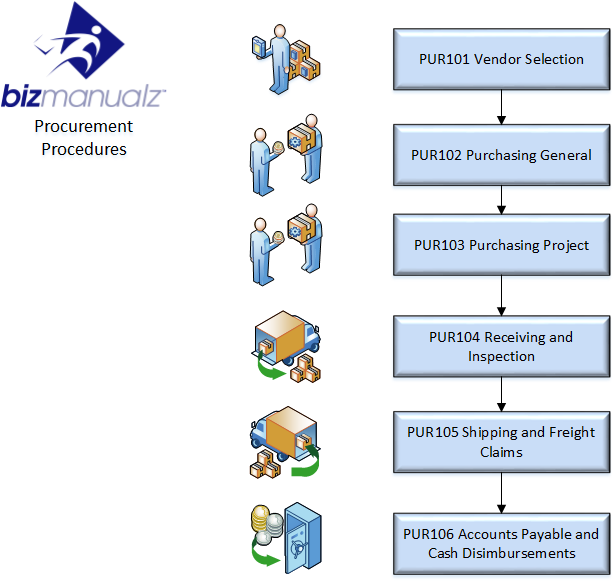 How should you follow up with purchase orders during procurement? How do you approve new vendors or suppliers for purchasing? Do you have check signing procedures for control? 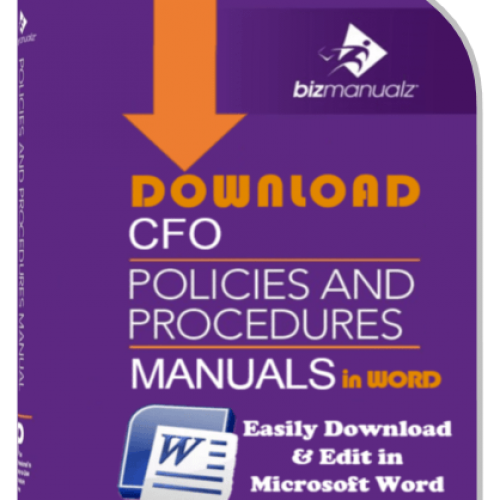 View a free sample accounting policy procedure template from the accounting manual right now with no obligation. 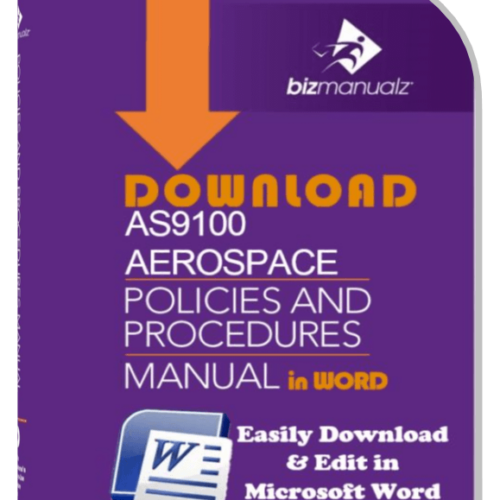 You will get the entire table of contents and one complete accounting policy template and procedure document from the accounting manual. Ready to buy now? Place your order using our secure server and you’ll be able to download your accounting manual immediately. With our money-back guarantee, your purchase is risk-free! If you are looking to create your own accounting practices and procedures manual that can be used as your accounts payable procedures manual or accounts receivable procedure manual (complete with credit polices), or a place for your accounting policies and practices, then this is the one for you. 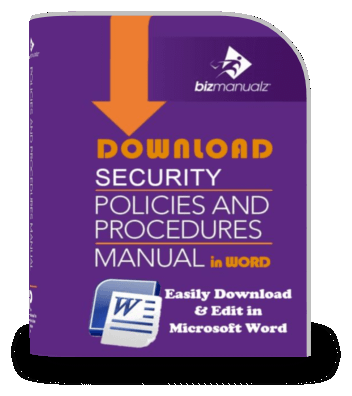 Example credit control policy procedure manual covering check authorization policy, wire transfers policy, and credit authorization policy with a credit control policy template. 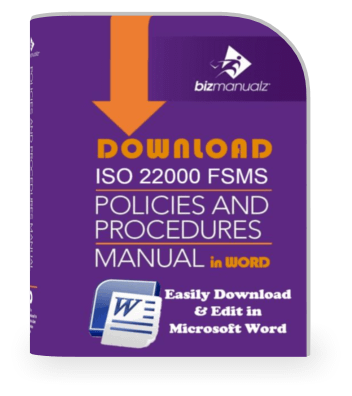 Sample inventory policies and procedures manual covering asset control policy, asset disposal policy, and inventory counting policy templates. Example accounts payable policy procedures manual with vendor selection policy, receiving and inspection policy, and accounts payable policy templates. Plus an internal control guide to Embezzlement Prevention, that will help you stop fraud before it starts with specific accounting control policies. View a free sample accounting policy procedure template from the accounting manual with no obligation. 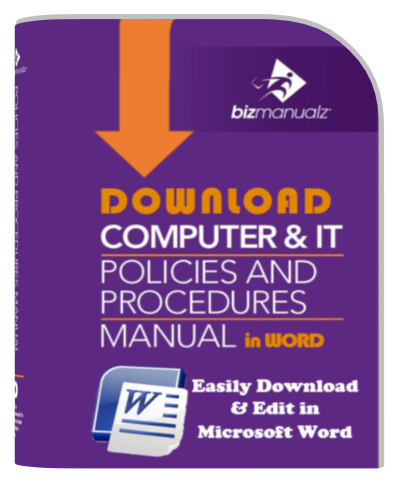 You will get the bookkeeping and accounting policy and procedure manual table of contents and one complete accounting policy example and procedure example Word file document. After you place your order with our secure server you can download your accounting procedures manual immediately. Your purchase is risk-free with our money-back guarantee. 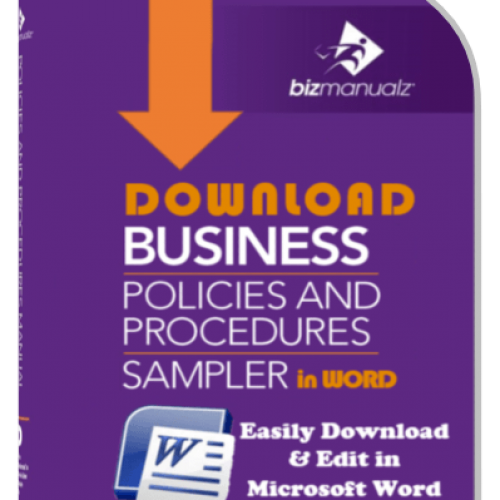 Extremely well written policies and procedures for business management. The manual is very thorough and was a kick start for me. I was able to write policies and procedures for the company without excuses. Easy to follow and straight forward guidelines. 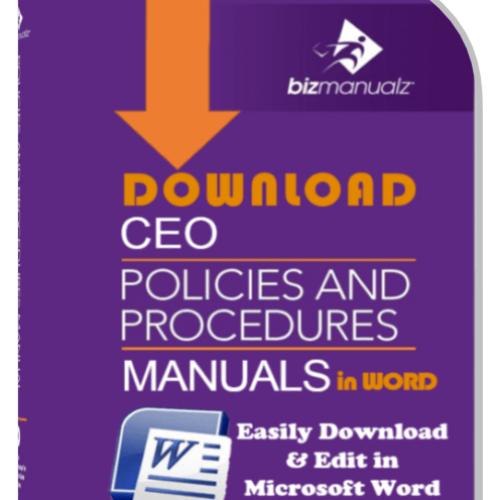 I found the Bizmanualz Accounting Policies and Procedures manual to be an efficient way to build my new organization’s accounting manual in a short time. Adapting the specific policies and procedures to our needs was quite simple, and I saved a great deal of valuable time better spent elsewhere. Gives a great starting point to creating accounting policies — you’re not recreating the wheel and it’s a time saver! Overall, I was pleased with the purchase. The documents were clear and detailed, and yet still vague enough to allow tailoring to our individual company. 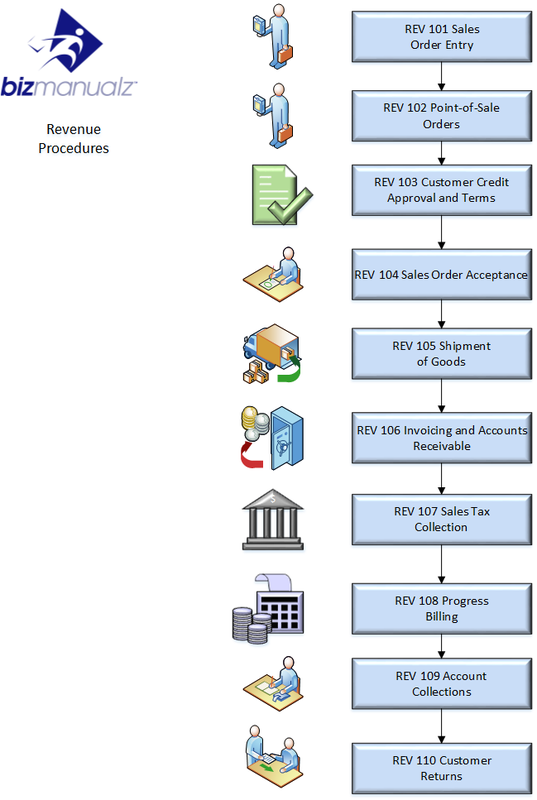 However, I would liked to have seen something more from the Visio flow diagrams. I felt that they could have reflected the overall processes more clearly. it would have also been nice if those documents were customization. Overall, I was pleased with the purchase. The documents were clear and detailed, and yet still vague enough to allow tailoring to our individual company. However, I would liked to have seen something more from the visio flow diagrams. I felt that they could have reflected the overall processses more clearly. it would have also been nice if those documents were customization. Great product! I am a CPA myself (not currently in public practice) and I have to say this product is something every company should have if they want to do things right. The Introduction alone is worth the price. The 26 page summary of basic accounting theory and concepts is the best concisely written description of an accounting system I have ever seen. If a company CEO can understand the material covered in that 26 page Introduction, then they will be able to discuss accounting issues as if they had a formal accounting education. The product was very useful in creating our custom accounting manual. The templates saved us so much time! It is the best choice to roll out policies quickly. It is extremely well organized and helpful. An excellent choice if you want to roll out policies quickly. Even though we are not a US company, the ideas contained within the manual provided an excellent basis to begin the process and as a springboard to adapt to local current practices. Easy to follow and very thorough. We’re a medium sized company and the it is very useful for prompting needed policies in just about every area. Editing is a snap too. We found the content very convenient and useful for our company. 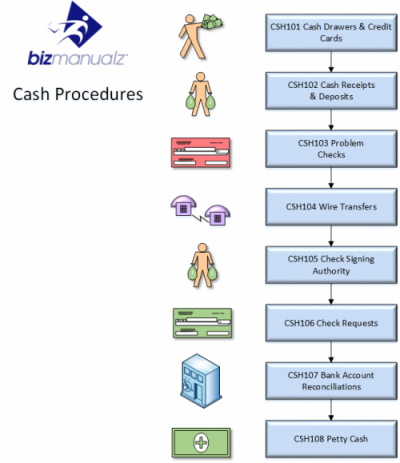 I purchased several Accounting Procedures for Order to Cash Cycle. They werevery well written and thorough.